« Day 282 in Beijing: No Bugles Allowed! Day 283 in Beijing: Spring is Springing! Spring forward into nest building. So, these tress still look quite dead but there is a lot of life in them. I’ve been watching the trees for the past few weeks and noticing slight differences. 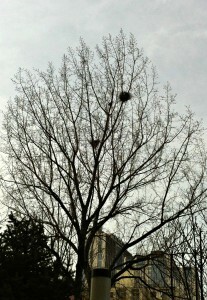 The main difference is that the nests are getting larger. 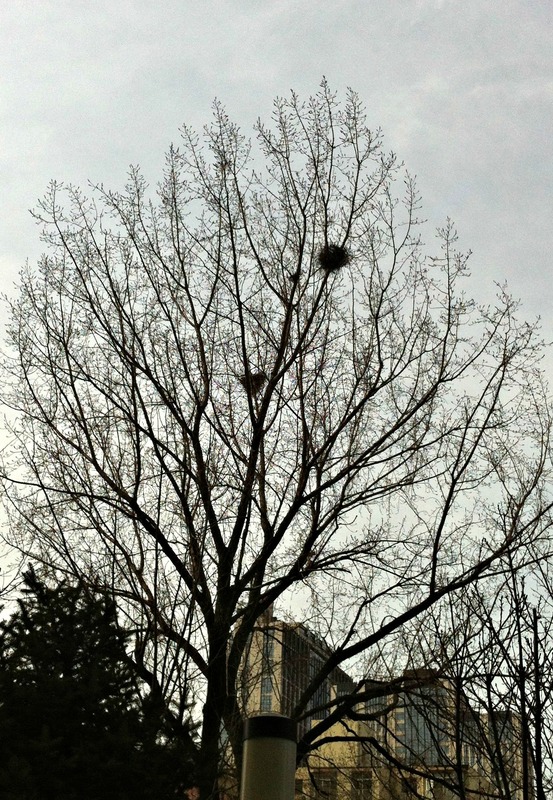 The birds that live there are flying in bringing more sticks and stuff to build the nests for the spring. And for the babies they will be having in the spring.